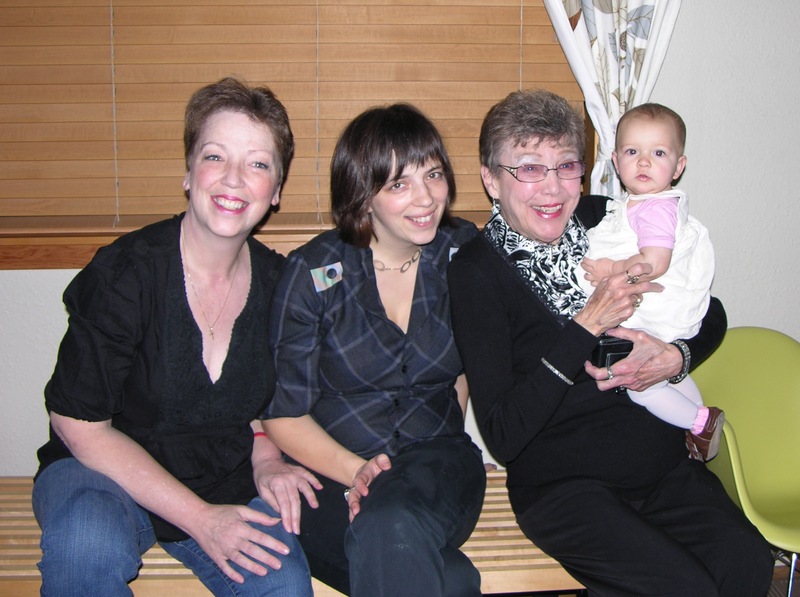 On Thanksgiving Day, we were able to take a picture of Zoë with her mother, grandmother, and great grandmother! Unfortunately, there were several other people with cameras, so in none of my pictures is everyone looking at my camera! Oops! * apparently, everyone gave me clothes as a kiddo to hear me disappointedly say this very phrase. you all should be ashamed, toying with a little baby that way. boy have i grown up! We spent the second part of our Hawaii trip on the big island. We had an amazing view of the ocean and spent many evenings gazing at the sunset. And saw our dear friends get married (more sunsets ensued). We had a fabulous time in Hawaii! The first few days here spent in Maui. Highlights included an overnighter to catch the sunrise in Hana and catching the Feast at LeLe. Check out our photos on Flickr! Well, this update is a few days late, but we’re back from our Hawaii vacation. We have many hundreds of pictures, and many hours of video to sort through, but when we have time we’ll put some of them up. For those of you who are following us on Facebook, you’ve already seen some pictures from our trip, which we took on our iPhones! But don’t worry, we’ll have pictures and videos for everyone soon. Only the most amazing Luau ever!